What Is the Hardness of Limestone? The term limestone encompasses several forms of sedimentary rock composed primarily of calcium carbonate. Limestone may form from chemical processes instigated by large populations of algae, or may form as the shells from aquatic creatures and single-celled organisms form a dense layer. German mineralogist Frederich Mohs' 1812 Hardness Scale associated a hardness score with 10 common minerals, with diamonds scored as the hardest, at 10, and talc the least hard, at 1. Minerals with higher numbers can scratch any mineral with a lower number, and lower numbers can never scratch a higher numbered mineral. Water cuts through limestone to form deep ravines. 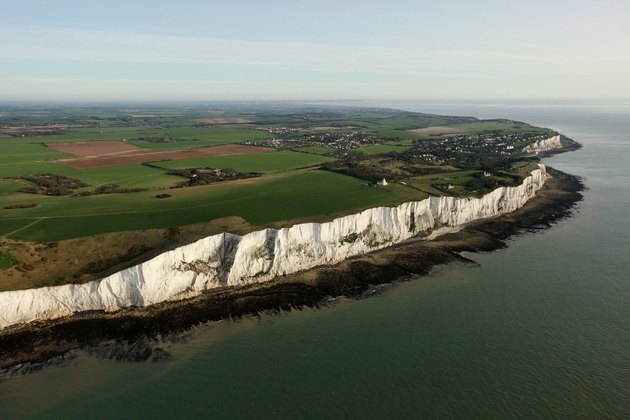 Chalk, a type of limestone, makes up the white cliffs of Dover. Formed from the condensed layers of ancient coccoliths and foraminifera remains, the soft white mineral rates a 1 on Mohs Hardness Scale. Many of the world's largest chalk deposits began forming up to 65.5 million years ago during the Cretaceous Period. Now most notably evident in the White Cliffs of Dover, modern industry uses the soft limestone as a fertilizer and filler in many commercial products. Carboniferous limestone takes form as either a fine-grained calcite mud in ancient shallow seas or as shelly limestone. Shelly limestone forms from layers of crushed coral. Both find use in industry as strong stones for use in roads, cement, and architecture. Caches of limestone from different locations can possess different hardness scores. F.G. Bell reported in the "Bulletin of Engineering, Geology, and the Environment" that carboniferous limestone consistently rated as harder and stronger than magnesian limestone, inferior oolitic limestone and great oolitic limestone. 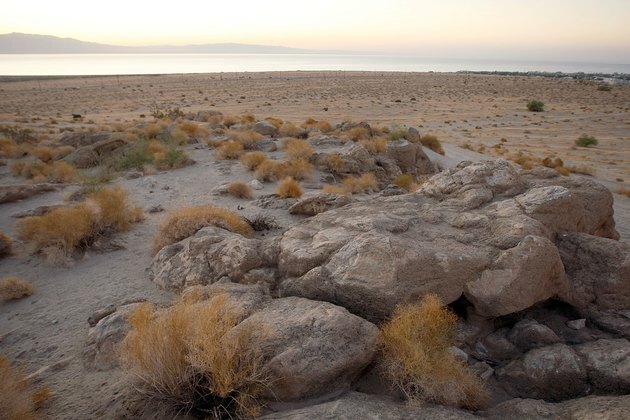 Boulders in Salton City, California show tufa deposits. 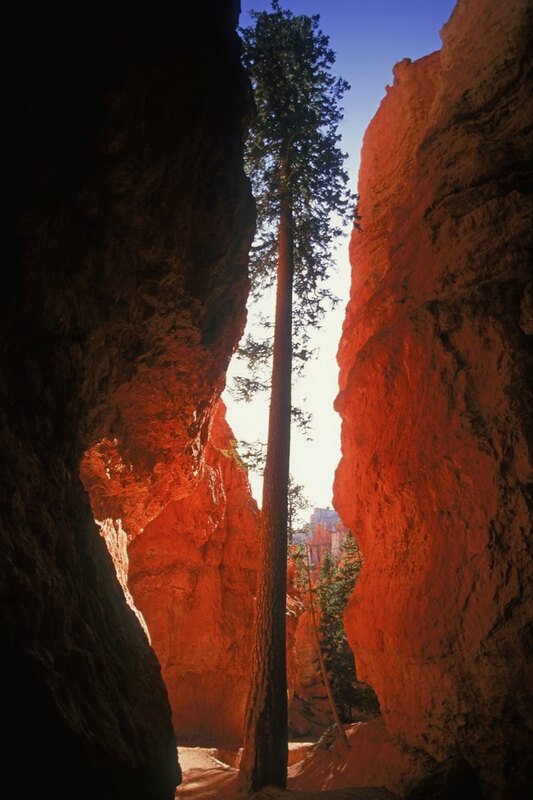 Tufa forms chemically as natural spring waters deposit calcium carbonate on the surrounding rock surfaces. Ancient architects used the spongey, light mineral on the outside facing of buildings in Rome, and in the vaulted ceilings of European cathedrals. Depending on the exact mineral, tufa ranks as a 3.5 to 4 on Mohs' scale. When tufa compacts, it forms travertine. Travertine, also called Mexican onyx, forms near natural springs. 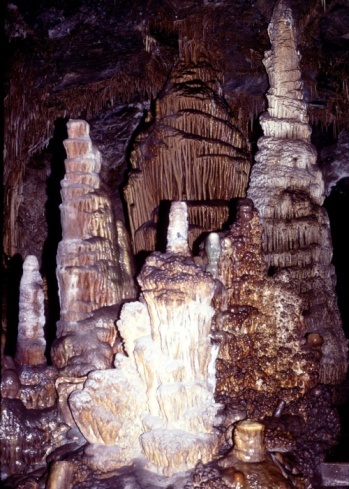 As calcium carbonate collects and crystalizes over the years, small plants and animals grow and die on its surface, creating small empty pockets in the rock. 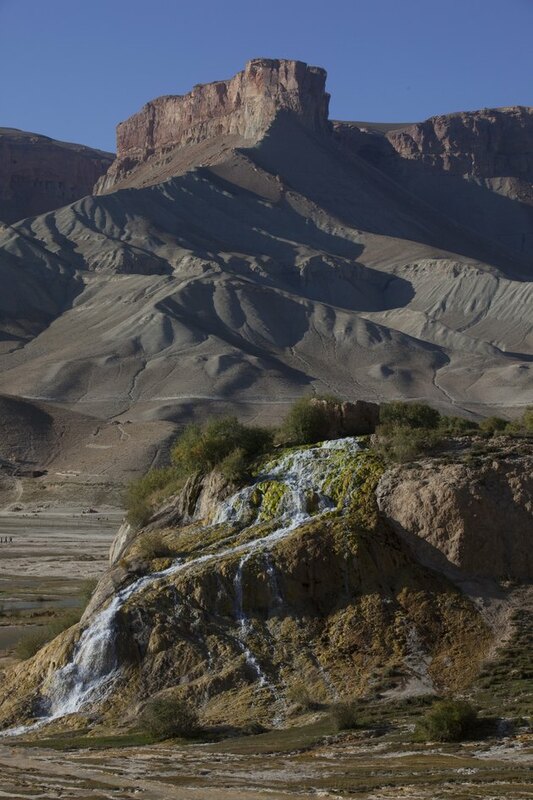 Travertine rates closer to a 4 or 5 on Mohs' scale, depending on the exact mineral specimen. Homeowners often use travertine to tile floors or garden paths, despite the fact that the softness of the stone often leads to a worn-down path along common routes. How Do Water Springs Work? What Is the Difference Between Limestone & Calcite?